The casting team for a new movie starring John Cusack need actors to play college students, people at a party, and protesters. This is an open casting call for all interested aspiring or established actors. This is a great opportunity to be in a feature film with well known actors and actresses. The film is called, Misfortune, and it stars Cusack and is directed by Lucky McKee. 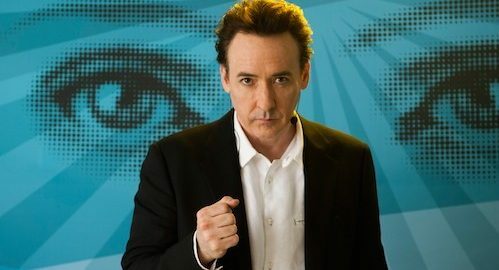 Cusack will portray a successful businessman that leaves everything behind to start a new life. He is ashamed and feels that he needs to switch up his life after taking advantage of a client and embezzling their money. The casting team for a big budget movie is looking for actors in Miami and Los Angeles. They need extras to portray various characters in a high school scene and during a beach party. It film will begin filming new scenes on February 21st and then shift to Miami for other scenes in March. The film is titled, Melissa, and it is about cyber-bullying and the effects it has on individuals and their families. In October 2016, a new study was released stating that 25% of teenagers report that they have experienced bullying by their cell phone or on the internet. 52% of young people report being cyber bullied at one point in their lives. Casting directors need all types of actors for a new film starring Taylor Schilling. She is mostly known for her role as Piper Kerman in the hit show Orange is the New Black. The casting teams need people to play hipsters at a music festival. Not many plot details have been revealed about the movie, but we do know that it is a comedy about a girl named Taylor that aspires to be a Juggalo. The title is, Fam-i-ly and it will take place mostly in Atlanta but it is currently casting and filming a particular scene in Chicago. Tom Cruise’s new movie American Made is now casting men to play fighters and boxers in a small scene. Casting directors are also looking for young, athletic and ex-military types with gun experience to work on the scenes as extras. The movie titled, American Made is based on a true story about Barry Seal. Seal was a famous pilot in the 1980’s that transported contraband for the CIA and Medellin cartel. He was eventually shot and killed in Baton Rouge. The film was originally set to be titled, Mena, but was recently changed. Mena, Arkansas is where a majority of the drug trafficking took place under the noses of several government officials and police officers.